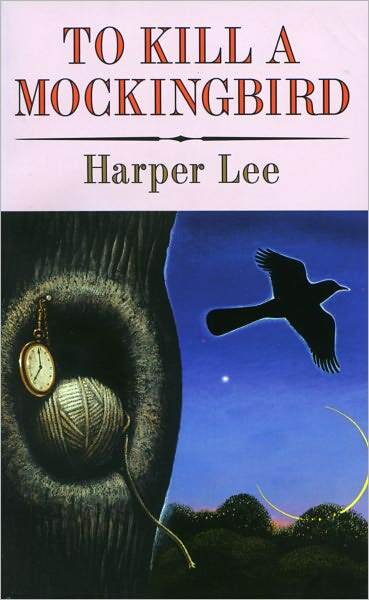 With all the excitement about the release of Go Set a Watchman I started thinking about To Kill a Mockingbird and what a magical experience it is. 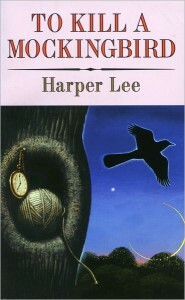 I first read the book when I was 11 or 12 years old; it’s one of those books I tend to pick up and reread every now and then.When reading about Go Set a Watchman, I realized that most of my memories of Mockingbird were actually memories of the film, and I knew then that I needed to reconnect with the work itself, to see why I was so enthralled with it all those years ago. Maycomb was an old town, but it was a tired old town when I knew it. In rainy weather the streets turned to red slop; grass grew on the sidewalks, the courthouse sagged in the square. Somehow, it was hotter then: a black dog suffered on a summer’s day; bony mules hitched to Hoover carts flicked flies in the sweltering shade of the live oaks on the square. Men stiff collars wilted by nine in the morning. Ladies bathed before noon, after their 3 o’clock naps, and by nightfall were like soft teacups with frostings of sweat and sweet talcum. People moved slowly then. They ambled across the square, shuffled in and out of stores around it, took their time about everything. A day was twenty-four hours long but seemed longer. There was no hurry, for there was nowhere to go, nothing to buy and no money to buy it with, nothing to see outside the boundaries of Maycomb County. But it was a time of vague optimism for some of the people: Maycomb County had recently been told that it had nothing to fear but fear itself. Most beginning writers struggle with description. Faced with so many options, they all to often fall back to listing things which can be quantified (often endlessly describing sizes or numbers) or that can be all too easily symbolic, such as color. As a result, their writing begins to sound less like a narrative and more like a police report. Lee is having none of that here. She mentions color only twice: once when she informs us that the streets turned to “red slop” in the rain, a reference to the red clay that underlies most of Alabama. That Maycomb’s unpaved streets were red (which was true whether it was rainy or not) is much less important than their becoming “slop” in the rain, a deliciously sibilant word which hints at mess and slipperiness, as wet clay certainly is. Her second reference to color – “a black dog suffered on a summer’s day” – is a bit more curious. As anyone who’s lived through an Alabama summer will tell you, all dogs suffer on a summer’s day, regardless of their color. Given what happens later on in the book, one can read this line symbolically. Change it to “a black man suffered on a summer’s day”, and it becomes a nifty bit of foreshadowing. Given that blacks were treated far worse than dogs it’s possible that Lee is preparing her readers for future events. The passage is redolent with irony. Certainly a courthouse would be built of brick or stone, yet Maycomb’s courthouse “sagged in the square”. It’s easy to imagine a clothesline sagging; it’s much harder to imagine the seat of law and justice for an entire county doing the same. Again, given the miscarriage of justice that occurs later on, it’s almost impossible not to see this line symbolically. Mules flick flies in the “sweltering shade” when shade is usually understood to be cool, even refreshing. At the end of the day, ladies are “like soft teacakes with frostings of sweat and sweet talcum” – hardly the type of frosting most of us would like to dip our fingers into. While we’re mentioning it, let’s take a moment to appreciate the beautiful assonance in that clause – “bony mules hitched to Hoover carts flicked flies in the sweltering shade of the live oaks on the square”. Phonetically, this line is not far removed from Dr. Seuss, but that is its strength – the tumble of repetitive sounds draws us in, comforting and welcoming us with the subtle sophistication contained in such apparent simplicity. Memory is hazy and unreliable. Lee hints at this through her descriptions of temperature and time. “Somehow, it was hotter then” she tells us, and we accept it. She gives us examples, but she doesn’t tell us how such a thing is possible, yet her examples – black dogs, bony mules, men’s stiff collars wilted in the early morning – are concrete enough that we just believe her: it was, indeed, hotter then. Regarding time, Lee tells us “a day was twenty-four hours long but seemed longer”. Like somehow, seemed implies vagueness. Her evidence is straightforward: people “ambled across the square”, they “shuffled in and out”. Shuffle implies randomness; you only shuffle when you have time to try out all the alternatives, which are limited in a small town. And yet, they shuffled. If there is a common denominator to adulthood, it is that we are like rats in a research facility, where everything is metered out to us. Temperature is a function of the setting on our air conditioner or furnace, time is metered out to us by time clocks and vacation schedules. Reading this passage as an adult puts me in mind of Sam Waterston’s Calvin and Hobbes where such easily quantifiable concepts (easily quantifiable by adults, that is) as temperature and time are at best fluid concepts. (It’s instructive to note the similarity between To Kill a Mockingbird and Calvin and Hobbes: both are written by adults for adults from the viewpoint of a child.) For Lee, and for her readers, Maycomb is not so much a place in space as it is a place in time, a place in memory. That’s the key, really. Memories are fluid. It doesn’t matter whether the courthouse was built of yellow clay bricks or red clay bricks. It’s all about how we viewed that courthouse. Red brick, yellow brick, white limestone – it’s all much the same, suggesting solidity, sturdiness. But when we are told that this building “sagged in the square”, the most public area of the town, it suggests that this building and what it represents is weak and unable to uphold its promise. That’s part of the point of this passage. Certainly, Lee is letting us know that this novel takes place in a small town in Alabama, and that it takes place at a particular point in history (the last line of this passage refers to Roosevelt’s speech), but she is also letting us know that this is a story told from memory. This may not be how things actually happened but it is how Scout remembers that they happened. That is, perhaps, Lee’s true genius: you can read the story as an artifact (either of the 1930’s when it takes place or the early 1960’s when it was published) or a story unto itself, existing outside of time and place. Either way, the story works. If you are familiar with history, her story neatly fits into that history; if you’re not familiar with history, Lee carefully delimits a world so complete that we cannot help but believe it. Whatever your background, however you approach it, her story simply works. This passage is but the acme of the quiet epiphany that resounds throughout her work.